I’ve always loved pattern hacking. 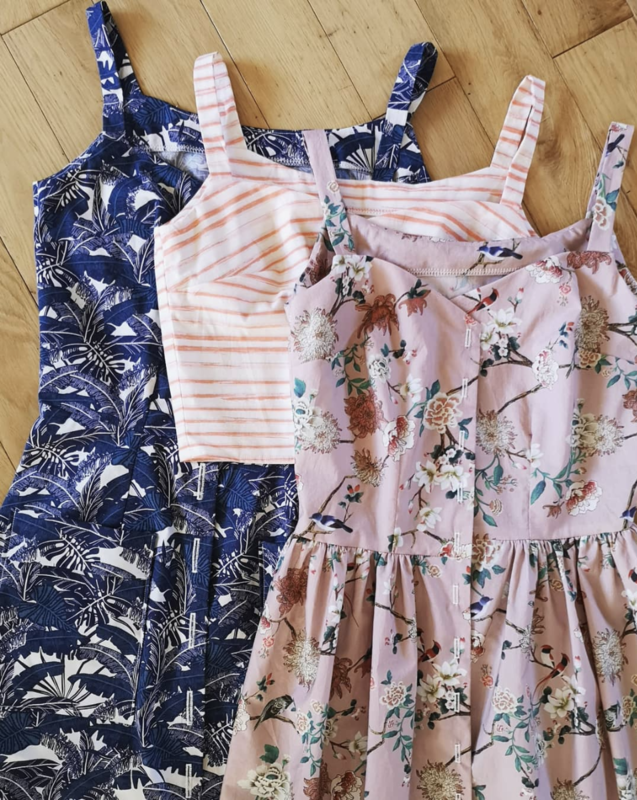 I once had a Vogue pattern that I used to make over 30 garments – from skimpy playsuits to a ballgown – only about 6 of which followed the original design. So it makes me super happy to see all the hacks inspired by my patterns, some of which I never could’ve dreamed up myself! 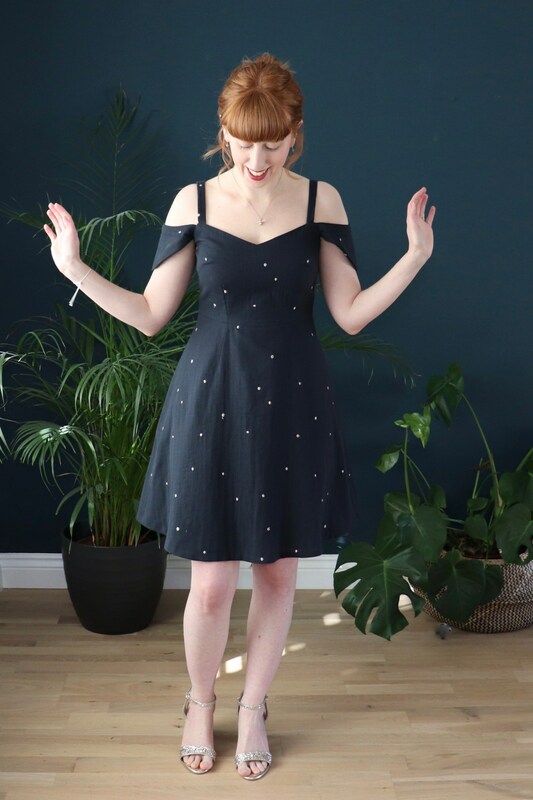 Today I’m doing a little round-up of my most hacked pattern by far, the Kew Dress. This pattern has produced so many gorgeous garments and inspired so much creativity that it quite frankly blows my mind. I’ll start with what we might call the Queen of all the Kew hacks: Jen aka Gingerthread Girl’s button-less, shortened-skirt version. This has inspired so many other sewists to follow suit that Jen’s hack has almost become a pattern in its own right and I basically owe her BIG time. 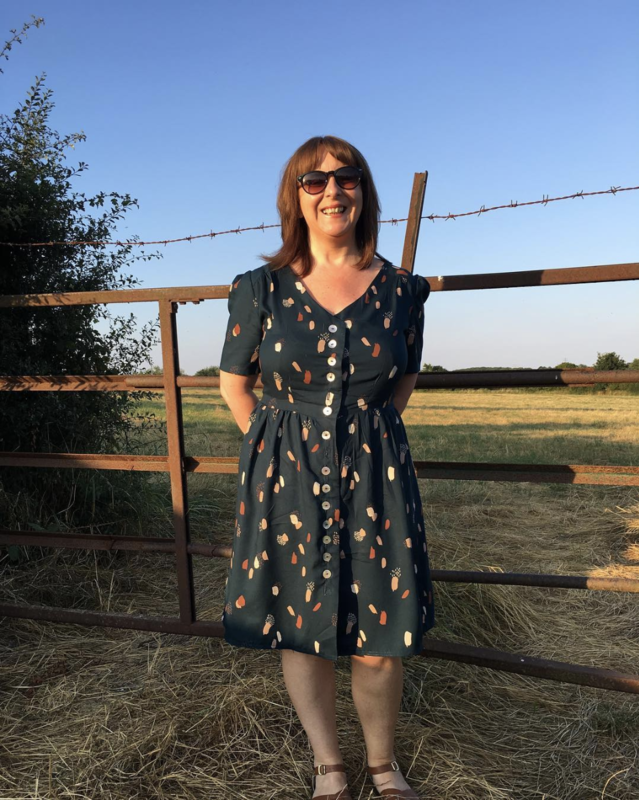 One of the reasons this hack has been so popular is because Jen has done a really handy tutorial so if you fancy making your own (or just have a real aversion to buttons and buttonholes, which is pretty much me after making all the Kew samples…) then do check it out! Next up is a hack that I really didn’t see coming – again, button-free, but this time a jumpsuit! Hell, yes, a Kew jumpsuit! This wonder is the creation of @pimsyfaitdestrucs and it’s seriously cool. Oh, hey me! Yep, I’ve made myself this gathered skirt Kew and I absolutely adore it. I’ve got another in orange linen on the sewing table (aka the dining table) right now and am considering offering the pattern pieces as an expansion pack, to save time for anyone who doesn’t want to fiddle around drafting this themselves… What do you think? 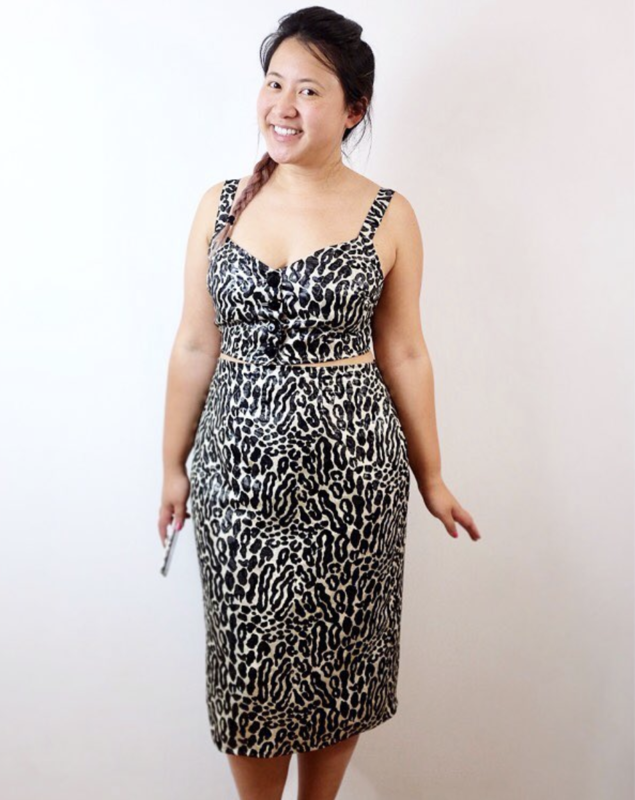 Emily’s (@selfassemblyrequired) used the Kew bodice to create a bang-on-trend co-ord look! I then made myself a Kew crop top out of a bit of leftover white linen (it doesn’t need much fabric!) 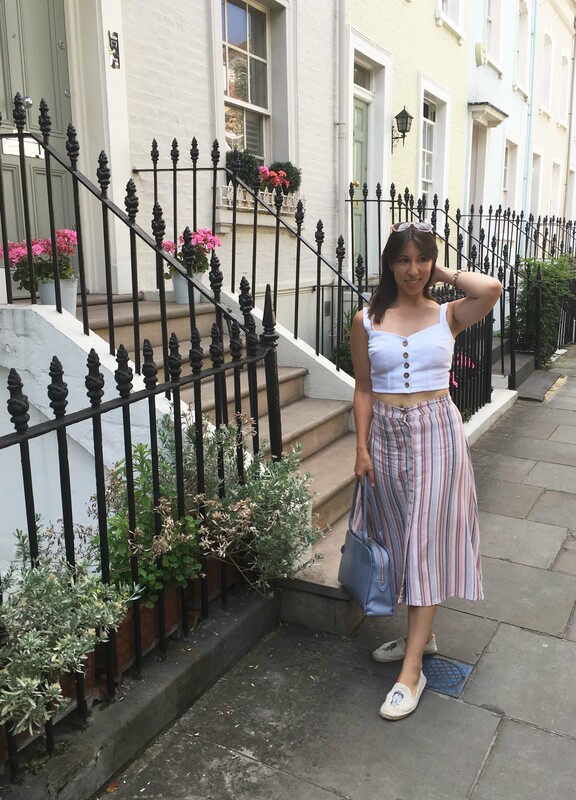 and it’s been such a useful garment this summer; it works perfectly with high-waisted trousers (jeans, Portobellos), pencil skirts and of course the Kew skirt itself! It’s simply hemmed with bias binding which makes this such a quick and easy hack. Speaking of tops, check out all these gorgeous Kew tops @epp.roseberry.couture has made! She’s omitted the waist darts and lengthened the bodice. 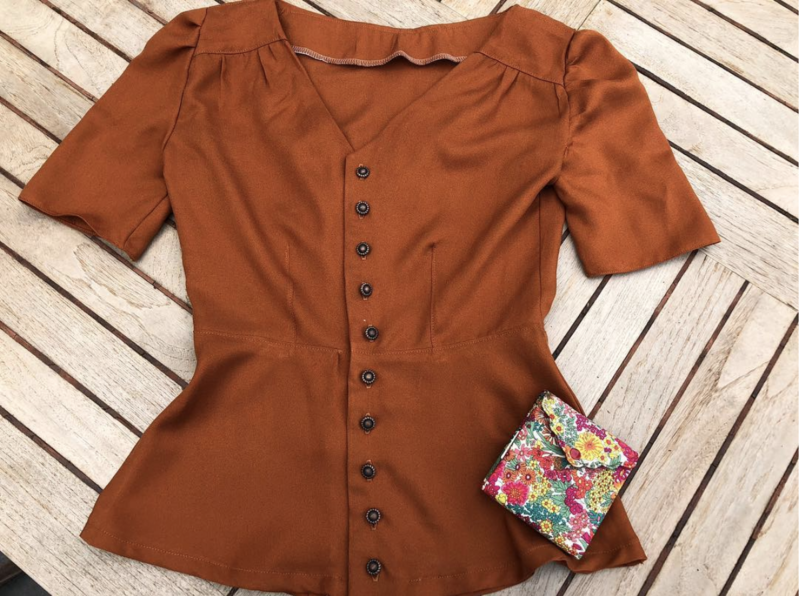 And last but not least, how fabulous is the vintage vibe of this Version 1 peplum top from @la_ptite_marie3?! Phew, can you believe all these garments came from the same pattern?! 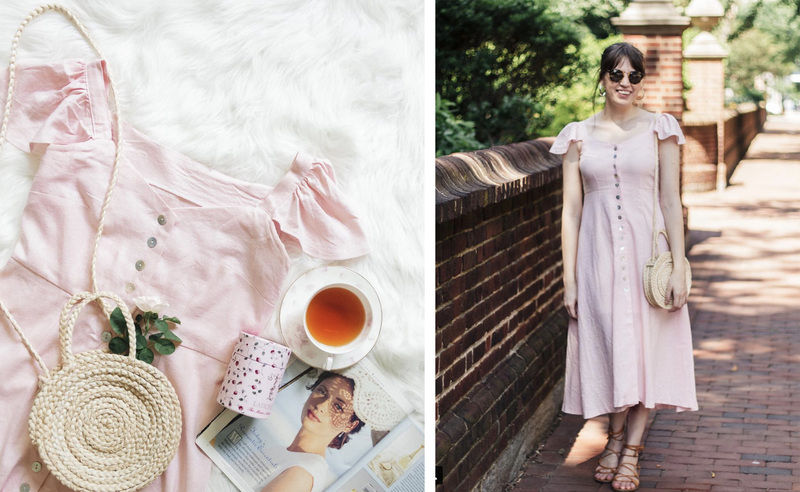 Check out the Kew Dress hashtag on Instagram for oodles more inspiration. Hacking really is a brilliant way to get more mileage from your patterns; it often generates scrap-busting ideas and can stretch your skills – all you need is a bit of confidence to go for it! And don’t forget to use the hashtag #youcanhackit to inspire others if you do! 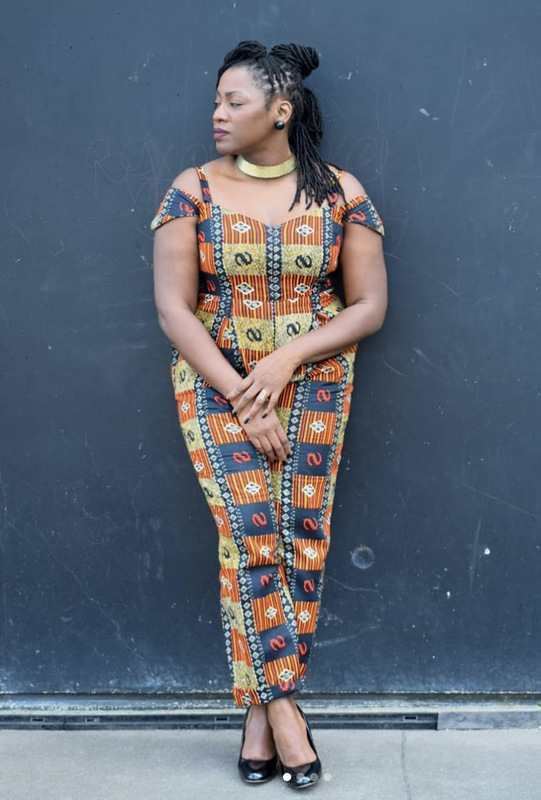 « Moselle Ruffle Dress – Maxi hack!